Let’s start by defining two concepts, the character and the glyph. The character is the abstract idea of the “atom” of a language or other dialogue: so it might be a letter in an alphabetic language, a syllable in a syllabic language, or an ideogram in an ideographic language. The glyph is the mark created on screen or paper which represents a character. Of course, if reading is to be possible, there must be some agreed relationship between the glyph and the character, so while the precise shape of the glyph can be affected by many other factors, such as the capabilities of the writing medium and the designer’s style, the essence of the underlying character must be retained. Whenever a computer has to represent characters, someone has to define the relationship between a set of numbers and the characters they represent. This is the essence of an encoding: it is a mapping between a set of numbers and a set of things to be represented. 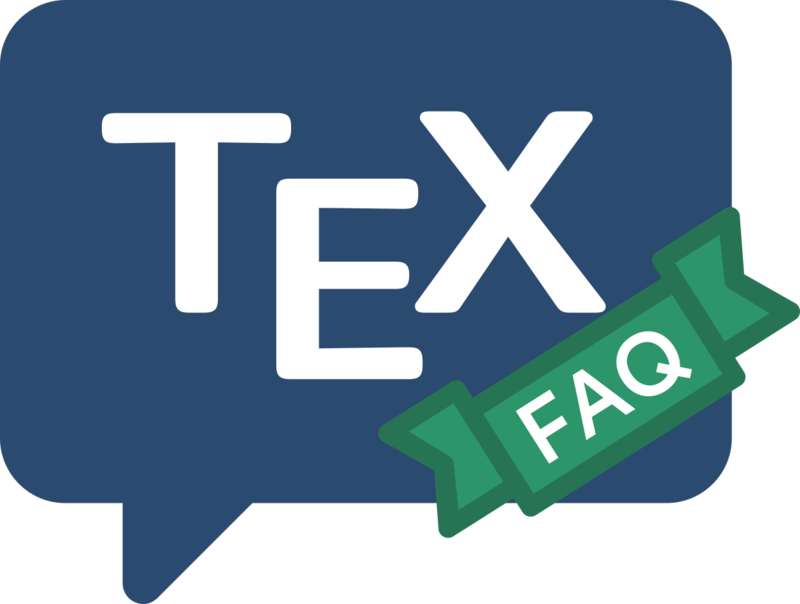 TeX of course deals in encoded characters all the time: the characters presented to it in its input are encoded, and it emits encoded characters in its DVI or PDF output. These encodings have rather different properties. The TeX input stream was pretty unruly back in the days when Knuth first implemented the language. Knuth himself prepared documents on terminals that produced all sorts of odd characters, and as a result TeX contains some provision for translating its input (however encoded) to something regular. Nowadays, the operating system translates keystrokes into a code appropriate for the user’s language: the encoding used is usually a national or international standard, though some operating systems use “code pages” (as defined by Microsoft). These standards and code pages often contain characters that may not appear in the TeX system’s input stream. Somehow, these characters have to be dealt with — so an input character like “é” needs to be interpreted by TeX in a way that that at least mimics the way it interprets \'e. The TeX output stream is in a somewhat different situation: characters in it are to be used to select glyphs from the fonts to be used. Thus the encoding of the output stream is notionally a font encoding (though the font in question may be a virtual font). In principle, a fair bit of what appears in the output stream could be direct transcription of what arrived in the input, but the output stream also contains the product of commands in the input, and translations of the input such as ligatures like fi. Font encodings became a hot topic when the Cork encoding appeared, because of the possibility of suppressing \accent commands in the output stream (and hence improving the quality of the hyphenation of text in inflected languages, which is interrupted by the \accent commands — see “how does hyphenation work”). To take advantage of the diacriticised characters represented in the fonts, it is necessary to arrange that whenever the command sequence \'e has been input (explicitly, or implicitly via the sort of mapping of input mentioned above), the character that codes the position of the “é” glyph is used. Thus we could have the odd arrangement that the diacriticised character in the TeX input stream is translated into TeX commands that would generate something looking like the input character; this sequence of TeX commands is then translated back again into a single diacriticised glyph as the output is created. This is in fact precisely what the LaTeX packages inputenc and fontenc do, if operated in tandem on (most) characters in the ISO Latin-1 input encoding and the T1 font encoding. At first sight, it seems eccentric to have the first package do a thing, and the second precisely undo it, but it doesn’t always happen that way: most font encodings can’t match the corresponding input encoding nearly so well, and the two packages provide the sort of symmetry the LaTeX system needs.